Just perfect for those wanting to visit the best that Lisbon has to offer, as well as Sintra and the Estoril Coast. In Lisbon you will be able to see the city's main sites, passing by the old Moorish quarter of Alfama, the well preserved 16th century Belem district (where you will find most of the monuments related to the Portuguese Golden period of the Maritime Discoveries) and the traditional commercial downtown, totally rebuilt in the 18th century due to a huge earthquake. The locals insist that it is mandatory for any visitor to Lisbon to also visit the romantic town of Sintra, Portugal's ex-libris, classified by UNESCO as a World Heritage Site. 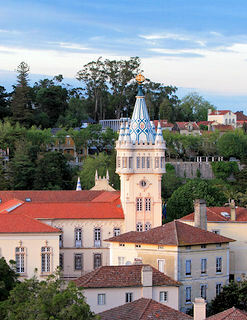 Set in the mountains, Sintra has been hailed by poets for centuries. One of Portugal's oldest cities, Sintra is dotted with the manor houses and castles of feudal lords and monarchs. From the central square, gaze up at the 8th-century Moorish fortress on top of the hill near the city. Free time is allowed, so you can wander through the shops surrounding the 15th-century square, explore on your own, or just relax at a local cafe. It will then be irresistible to have a look at the charming old fishing village of Cascais. The small fishing village has grown into a popular resort. Set on the Bay of Cascais, the town boasts an interesting mixture of early 20th-century homes and modern buildings. Occasionally, a gaily-painted fishing boat can still be seen on the shingle. Stroll the streets; browse the shops or simply take in the relaxing ocean views. On your way back to Lisbon, always along the elegant Estoril Coast, the remaining feeling will be a desire to return. You'll be given free time to explore Lisbon on your own before returning to the ship. Excursions listed for a port may not be available for every cruise.